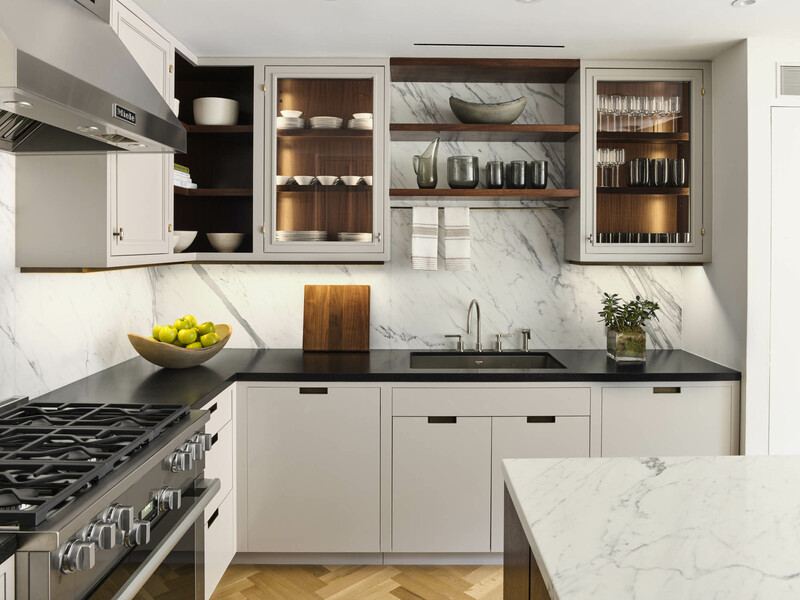 The Shephard, an historic Romanesque Revival former warehouse located on a quiet street in the heart of the West Village has been thoughtfully redesigned, re-engineered and totally renovated to become one of the finest and most special residential buildings in Manhattan. 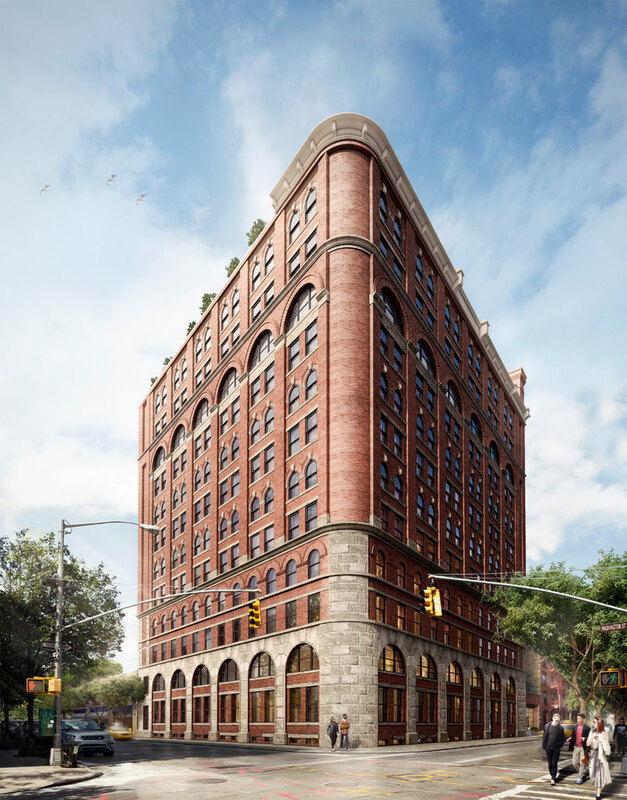 Situated at 275 West 10th Street, The Shephard has 38 homes, 26 of which are unique. Residence 6D, spotlighted here, is a 3,800-square-foot corner residence facing south and west, with three bedrooms, four-and-a-half bathrooms, den, eat-in-kitchen, dining room and living room. It was designed by renowned interior designer James “Ford” Huniford, of Huniford Design Studio, and is listed for $11,850,000. 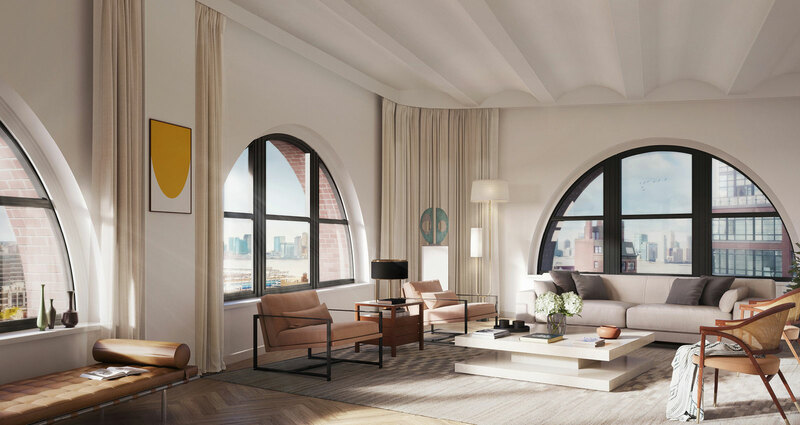 When conceptualizing his design aesthetic for the model residence, James Huniford was inspired by The Shephard’s majestic properties, citing in particular the building’s intricate brickwork, the sweeping curves of its arched windows and the interior;s expansive barrel-vaulted ceilings. Huniford simultaneously incorporated and re-imagined these elements to create a model residence of superb interplay of clean yet bold 1940s French and mid-century furnishings paired with contemporary pieces and materials, including mirrored glass and polished bone complemented by an art collection from Creative Growth. 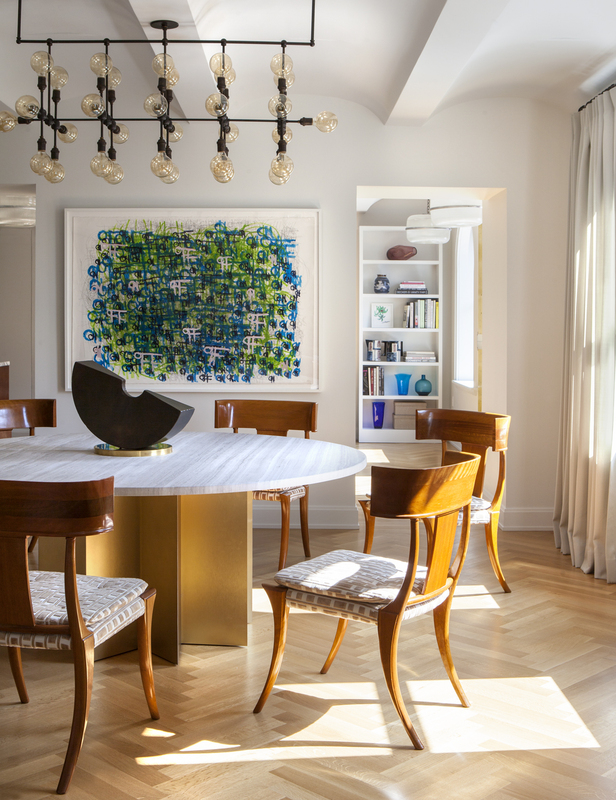 Layered textural finises and decor add visual complexity to a color palette of muted gold, yellow and blue and a mixture of metals and metallic patterns. Further, the space is designed to emphasize the flow of the floor plan, incorporating Huniford’s penchant for pure materials and clear lines. 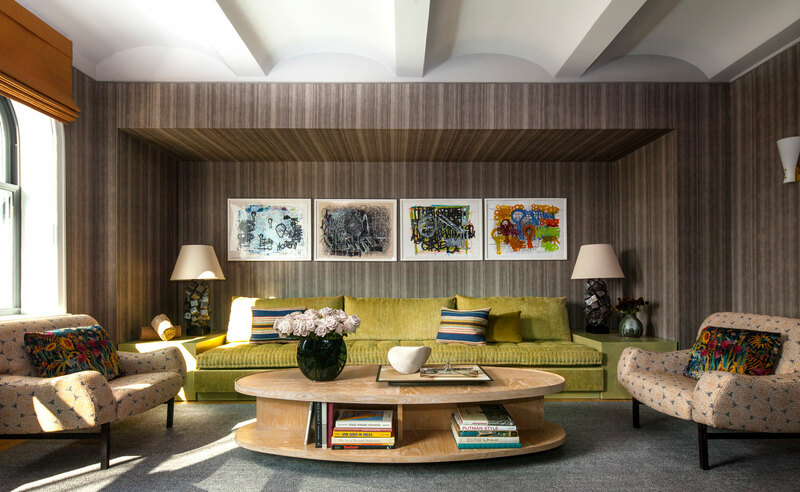 The living room uses the curvature of objects, including an elongated back-to-back living room sofa and cylindrical tables as a retreat with luxurious fabrics, bark wallpaper and muted textures that evoke serenity and tranquility. Residents of The Shephard enjoy a host of superlative amenities, including a gym, lounge, sports court with basketball hoop and steam rooms. Additionally, there is a Pilates studio, golf simulator/screening room, rock-climbing boulder wall and game room. For more serene activities, residents can head to the private garden or library. Private storage is also available. The Shephard is situated just blocks from Hudson River Park and its walking and bike trails with picturesque vistas of the Hudson River. Located in the historic West Village and just steps from the Meatpacking District, the neighborhood offers an abundance of fine dining, cultural institutions, such as The Whitney Museum, and world-class shopping.